Ace of Base is something as uncomplicated as a pop band, that doesn’t try to be or appear to be anything else than that. They want to make their listeners feel good when hearing their music. They don’t have any heavy messages, even if the songs obviously have become better crafted and substantial over the years. Simplicity isn’t easy. The fact that Ace of Base has sold over 30 million albums and 15 million singles proves that they know what they’re doing. Ace of Base is one of the world’s biggest bands, one of those rare bands whose name is a well-known brand wherever in the world you go. Their fans, so called ”Acers”, also show a passionate interest in the band. Every year, some of them fly in to Gothenburg from all over the world to get together, share views and opinions on the band, check out the studios where the band has recorded and walk the streets where Ace of Base grew up. Ace of Base is just one reference on a long list. She started in the early 90’s to do a few lead vocals on Masques album. 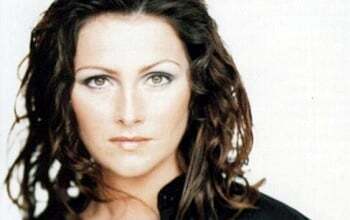 At the end of the 90’s she was singing in a band called Eja, performing at different Christian festivals around Sweden. In 2003 – 2004 she was involved in the Christian project „Psalmer För Livet“ together with Jakob Petrén and several other gifted musicians. In 2006, she released an album together with several other well-known Swedish musicians under the name „Arose“. As she took part in several charity projects, one of the results was the record „En Utsträkt Hand“ , which was released to raise money for the homeless people in western Sweden. In 2007, she was a lead part of the show with the Original ABBA Orchestra, performing many ABBA songs that can now be heard in the hit Broadway play and recent movie, „Mamma Mia“. She performed live in whole Sweden together with Gunilla Backman, Magnus Carlsson, Thomas Di Leva, Tove Jaarnek and Jerry Williams. During all these years and amidst all of these projects, Jenny was also holding lectures all over Sweden. At one of these lectures Anna Braw, who is a journalist for the Swedish paper Dagen and working at Libris, a Swedish book publishing company, paid attention to Jenny’s story and suggested that she publish a book about Jenny’s life. The autobiography was published in September 2009. Jenny is currently promoting her autobiography and giving concerts and lectures in churches and other venues around Sweden. At the same time, she is busy working on her solo musiccareer and the translation of her autobiography into English.